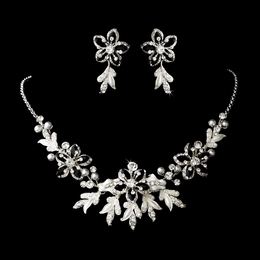 Our lovely "Paradise" tiara features an enchanting floral design on a silver-plated base. The flowers are comprised of rhinestone-encrusted black floral beads, while faux pearls and silver leaf details sparkle and shine with every turn. 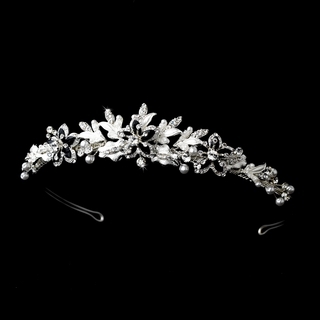 This tiara would be a stunning addition to any bridal or formal gown!